Your business growth is dependent on delivering exceptional and trusted digital experiences – so you can capture new markets and disrupt your competition. 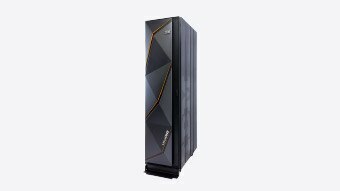 IBM LinuxONE Rockhopper II™ is designed to provide a superior data and cloud platform with pervasive encryption, high availability, and performance at scale. All of this is packaged in an affordable enterprise Linux server that fits right into your cloud data center – whether you are a startup or an established bank. Protect 100% of your application, cloud service and database data at rest or in-flight. Consistently deliver the high levels of service your business and clients demand. Meet the demands of growth – even at peaks – with a flexible IT infrastructure.